Oral storytelling’s a key feature of many cultures; it’s said that Homer sang his stories to audiences in ancient Greece. 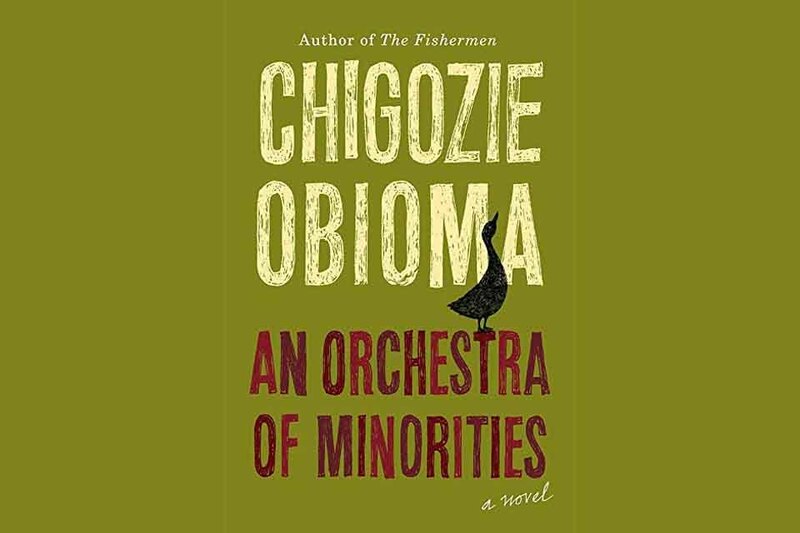 And in his new novel, An Orchestra of Minorities, Chigozie Obioma uses oral storytelling as a device, giving his novel an interesting flavour and makes it resonate past the last page. His novel follows Chinonso, a poultry farmer who lives in rural Nigeria. He’s a simple, unassuming man: he loves his chickens and guards them like a parent, he has no real family, and when he sees a woman about to jump off a bridge, he stops his car and saves her. From a chance encounter, he’s set into a course where he loses everything, gets stranded in a foreign country and struggles to get back. Rather Homeric, that. But this is where Obioma’s interesting narrative device comes in: it’s Chinonso’s chi, a guardian spirit, who retells this story for an invisible audience of gods. He recounts the story as one would expect an immortal spirit: world-weary, slightly jaded, and with the best interests at heart for Chinonso. He retells the story, which starts off hopeful but slowly grows darker, ominous and finally angry, with a detached air: “I have seen it many times before,” it repeats, over and over. And yet, the chi is helpless to stop this story. After Chinonso helps this woman, he finds out her name is Ndali; she spends time at his farm, and they fall in love, bonding over raising chickens and defending them from predators. However, as the daughter of a local chief, she comes from a position of power and privilege: her family doesn’t just dislike Chinonso, they go out of their way to offend and demean him. He decides to sell everything he owns, pays a friend to get him into a foreign university, sets off for Cyprus and finds he’s been duped: there is no money, no job or even a place for him in school. The story grows only more desperate and darker from there. Admittedly, there are a few reservations about this book. For one, the oral storytelling device works quite well, but it’s rhythms and style take a little time to get used to. And the first third of the novel dragged a bit, with some scenes that led away from the main arc, but once the plot was set into motion, I hardly put the book down. What really struck me about this book was Obioma’s sense of compassion; both for his characters and for the world he created. It’s a place where spirits dwell, both good and bad, and bicker and argues with each other. It’s a place where the chickens sing a mourning song when a hawk kills one of their own, and where humans can hear and appreciate it. It’s a world where Chinonso can struggle to forgive people who’ve ruined his life, yet still fight the urge to submit to revenge fantasies; he’s far from perfect, but he leaps off the page, a fully formed person. And indeed, his will leads him to disaster; no spoilers here, but as the novel grew on, more elements of darkness peered into frame, darkening a story which started so bright and hopeful: racism, sexual assault, brutal physical violence. It’s a compelling story, but admittedly not a pleasant one, and it rings true. All these add up to make An Orchestra of Minorities a very good read, and shows Obioma as a consummate storyteller, and one who with his second novel, has created a most interesting world – and a world beyond our world, too. I’m not sure every reader will stick around long enough to get a feel for this one, but anyone who sticks with it will be rewarded.